Treat your loved ones on a concert date this Valentine's Day. 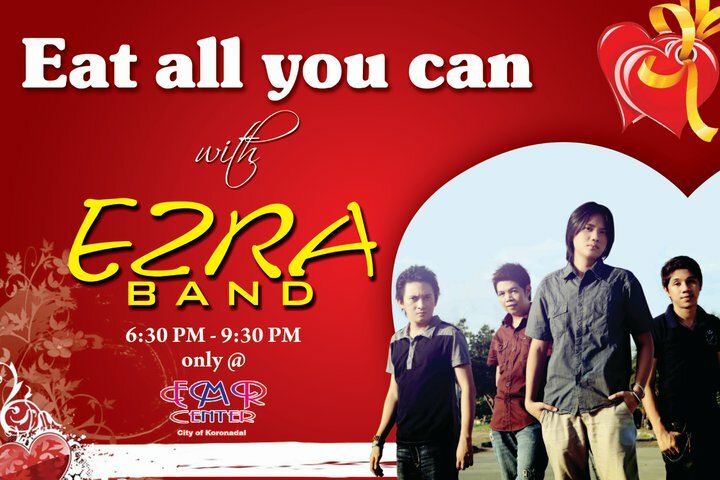 Eat-All-You-Can Dinner with Ezra Band. Ezra Band hails from Davao del Sur and have joined the recently concluded "Pilipinas Got Talent" on ABS- CBN. They finished at the top three together with Baguio Metamorphosis and the Velasco Brothers, with Jovit Baldivino proclaimed as the grand winner. EMR Center is located at Brgy. Morales, Koronadal City.